Hungarian composer Eugene Zádor, a friend of Béla Bartók, won renown in Vienna before having to leave for America in 1939 where he eventually became Miklós Rózsa’s exclusive orchestrator in Hollywood. 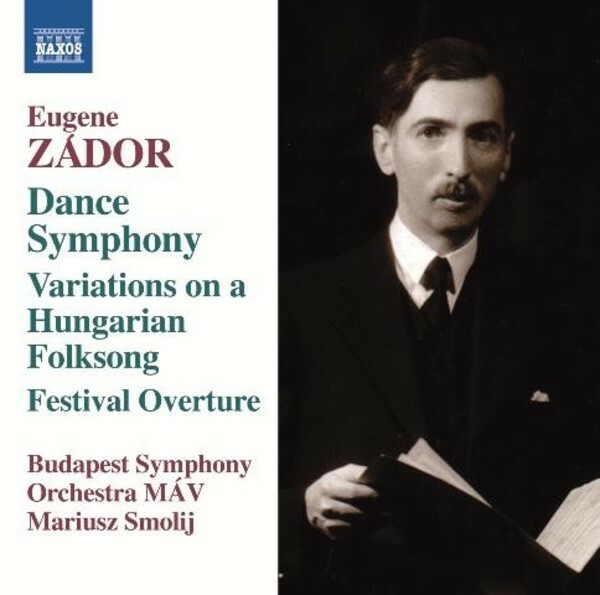 His music is often redolent of his native soil, as depicted in the Variations on a Hungarian Folksong which, at times, approaches an almost Straussian opulence. Written in Vienna in 1936, the Dance Symphony is a sunny homage to the composer’s adopted home. The Festival Overture is a much later work of almost cinematic brilliance. This is Volume 3 of the on-going Naxos series of Zádor’s orchestral works.